The Wiz Concrete Dining Stool is constructed of dark grey fiber reinforced natural concrete with acrylic sealed finish to prevent staining. 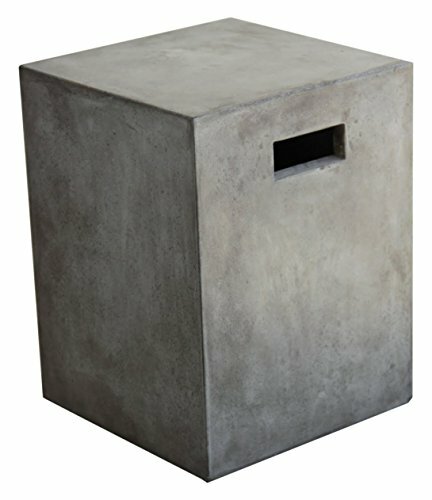 This concrete dining stool features handles on the side for easy transportability and measures 14"L x 14"W x 18"H, weighing 42lbs. Some Assembly is required. Expertly made by Limari Home, our mission is to create modern yet refined home furniture that will inspire conversation, complete your decor and last a lifetime. Every collection has a story and we are honored to bring our story to you. Trust Limari Home to deliver a refined look with every collection. If you have any questions about this product by Limari Home, contact us by completing and submitting the form below. If you are looking for a specif part number, please include it with your message. Nexel Swivel Stool, Adj. Height 20" To 24"